Congratulations to our Client May Designs for their feature on The Mommy Nest! Back-to-school doesnâ€™t have to mean Back-to-boring! Put some personality into this school year with fun customizable notebooks from May Designs. Back-to-school gear lacking in inspiration? Spark creativity and express yourself with May Designs notebooks, journals, and stationery. 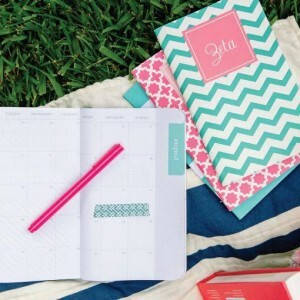 Looking for a planner thatâ€™s as unique as you?Â With May Designs 2014/2015 academic agenda even the busiest students can stay organized with style.Â Featuring monthly and weekly calendars plus space for notes, itâ€™s not only a pretty face, but an awesome personal assistant.